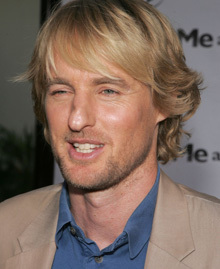 "Extra" has obtained the Calls for Service report from the Santa Monica Police Department, which lists the reason for the 911 call from Owen Wilson's house as an "attempted suicide." The call was received on Sunday, August 26 at 12:08:16 p.m. The incident was "cleared" almost five hours later at 5:07:16pm. As "Extra" reported yesterday, sources confirmed that Wilson had indeed attempted suicide. His brother Luke found him, and he was rushed to St. John's Hospital in Santa Monica before he was taken to Cedars-Sinai Medical Center, where he is listed in "good condition."